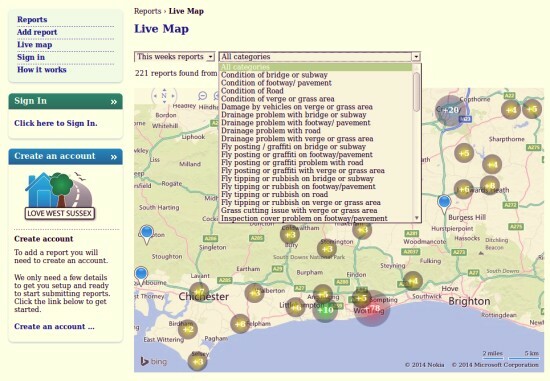 WSCC runs a website where members of the public can conveniently report potholes, drainage problems, fly tipping, graffiti and other highways related problems. Click the image above if you want to make such a report. There are also mobile phone apps that you can install though the reviews for the Android version are not positive.